The Welsh Language Board was established in 1993 and awarded an annual government grant of £13m to “promote and facilitate” the use of the Welsh language. Today, the annual grant totals £40m. In cases where there were concerns that public bodies were not complying with their Welsh language schemes, the Board could hold a statutory investigation. The Board’s Private Sector and Business team worked with a wide variety of large and small companies. Since the launch of the private sector Welsh language policy in November 2008 hundreds of businesses have published a policy, and hundreds more companies indicated support for the language by signing up to the Board’s “Investing in Welsh scheme”. In 2004 Rhodri Morgan, previous First Minister of Wales, announced his decision to abolish the Welsh Language Board and it was finally abolished in March 2012 and was replaced by what is now known as the Welsh Language Service. Increasing the use of Welsh within families is one of the Welsh Government’s key priorities for safeguarding the future of the Welsh language. Data from the 2011 Census, has confirmed there are more young Welsh speakers in 2011 than in the previous census in 2001, thanks to awards to Mudiad Meithrin and Mentrau Iaith Cymru. The service aims to increase the provision of Welsh-language activities for children and young people and to increase their awareness of the value of the language in the classroom and with fun leisure and cultural activities. Urdd Gobaith Cymru and Wales Young Farmers have received funding for such projects. 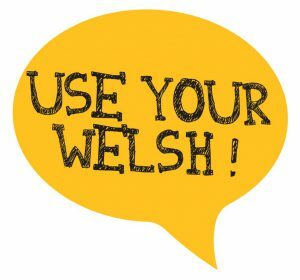 The Welsh Language Service are continuing to support mentrau iaith and a number of other bodies at a grass-roots level to take action in areas where the Welsh language is, or was until comparatively recently, the main language of daily life. The service also provides support to Merched y wawr. To increase opportunities for people to use Welsh in the workplace, the service is encouraging more opportunities for those who can speak Welsh to use the language at work. An increase and improvement of Welsh-language services has also been funded by the Service. The implementation of the Welsh Language (Wales) Measure 2011 has built on the work undertaken to date in order to provide greater clarity and consistency for citizens in terms of the services they can expect to receive in Welsh. The Welsh Government’s Welsh language strategy emphasises the increasing importance of technology and digital media, and sets out our ambition and our expectation that Welsh speakers should be able to conduct their lives electronically through the medium of Welsh, should they wish. The main award went to the team working on ward B2 at Ysbyty Cwm Rhondda, in Llwynypia in the Rhondda valley, who ensure their patients can receive their care, treatment and their meals in Welsh. Patients are asked whether they would like to go to this ward where the clinical staff, porters and catering staff are all able to speak Welsh. Working with families, children and young people: Hywel Dda University Health Board. Working with people with learning difficulties including speech and language therapy: Derwen, the integrated team for disabled children, Betsi Cadwaladr University Health Board and Gwynedd Council. Technology and the Welsh Language: Gwynedd Healthy Schools Scheme, Public Health Wales. In the NHS: Rhiannon Davies, Welsh language officer, Aneurin Bevan University Health Board. In social services/social care: Margaret Watkins, staff development officer, Denbighshire County Council.